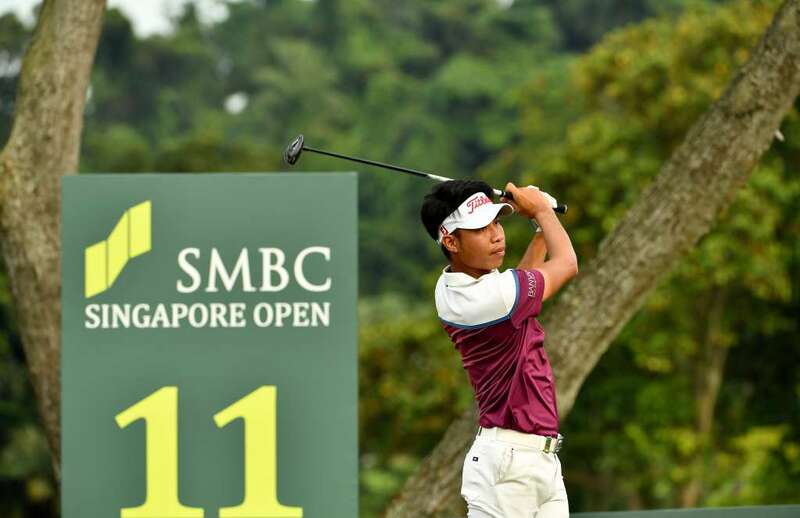 Halfway co-leader Chapchai Nirat of Thailand was chased down by countryman Danthai Boonma before the third round of the SMBC Singapore Open was halted by bad weather on Saturday evening. 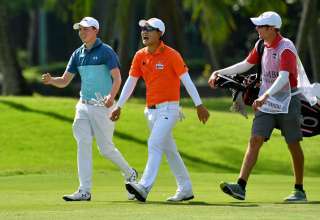 Chapchai, whose recent slump saw him lose playing rights on the Asian Tour last season, was nine under par for the tournament after touring the front nine in two-under 34. 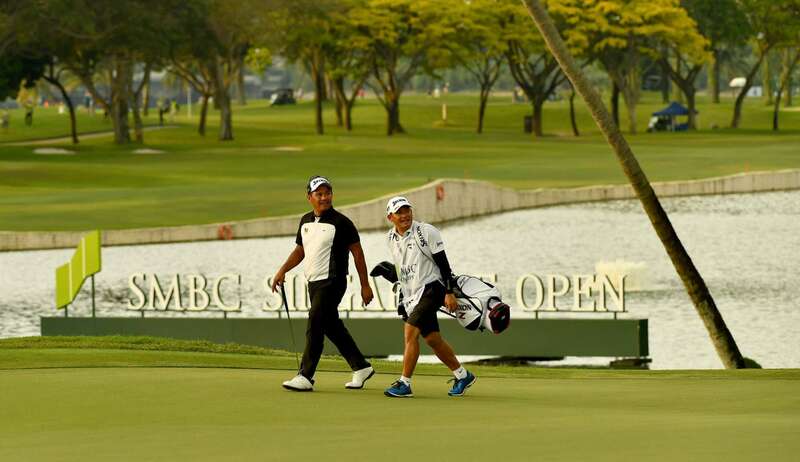 Danthai, who won his only Asian Tour title in Singapore in 2015, fired six birdies in his 15 holes to move alongside Chapchai at Sentosa Golf Club. They have a two shot lead over a group of seven players. 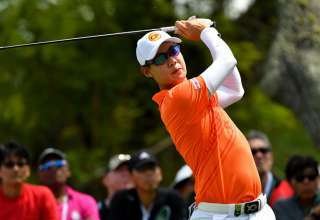 The 34 year old Chapchai, a four-time winner on the Asian Tour, has fond memories of the Singapore Open with some of his best performances reserved for the tournament where he first burst into prominence in 2005. 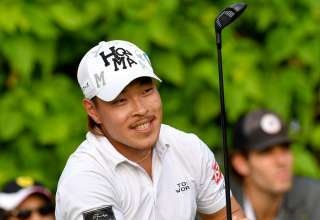 Japan star Ryo Ishikawa, the co-leader with Chapchai after two rounds, opened up a two shot lead with birdies at the first and second holes but came unstuck again at the third hole which he double bogeyed for the third consecutive day. Ishikawa, a winner of 14 titles on the Japan Tour and one of his country’s most successful players, had reached the turn in 36 when play was halted. He is currently in the group in joint third spot which also includes Masters champion Sergio Garcia of Spain. The world number 10 struggled with his putter on the back nine of the second round earlier on Saturday and his woes on the green continued in round three. He dropped a shot at the second hole but back-to-back birdies on the sixth and seventh put him back in the hunt. Also tied for third are Asian Tour number one Gavin Green, who carded four birdies in 14 holes; Jazz Janewattananond of Thailand, who is nearing the end of his round; Indonesia’s Danny Masrin, Casey O’Toole of the United States and South Africa’s Shaun Norris. 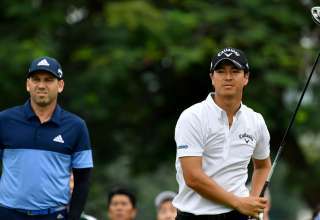 Norris, who won on the Japan Tour last season, had a double bogey at the fourth but bounced back with three straight birdies from the sixth hole. 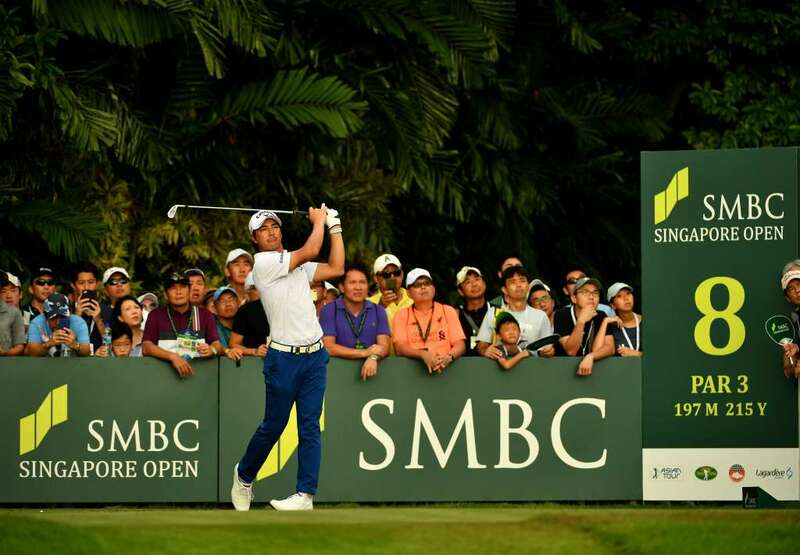 With 17 players within four shots of the lead it promises to be a Sunday shootout for the ages on the Serapong Course. The third round will restart at 7.40am on Sunday.